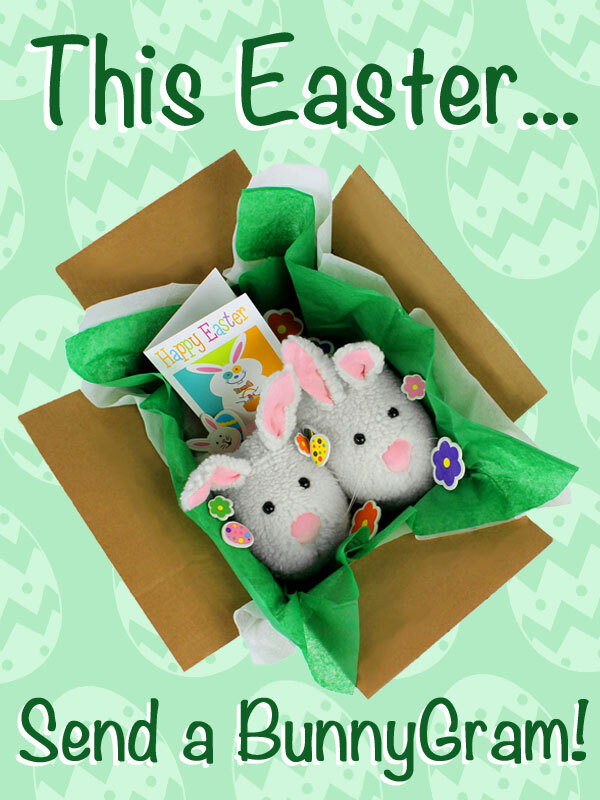 Do you have a loved one living far away, but would still like to send them some Easter cheer? Send a BunnyGram! 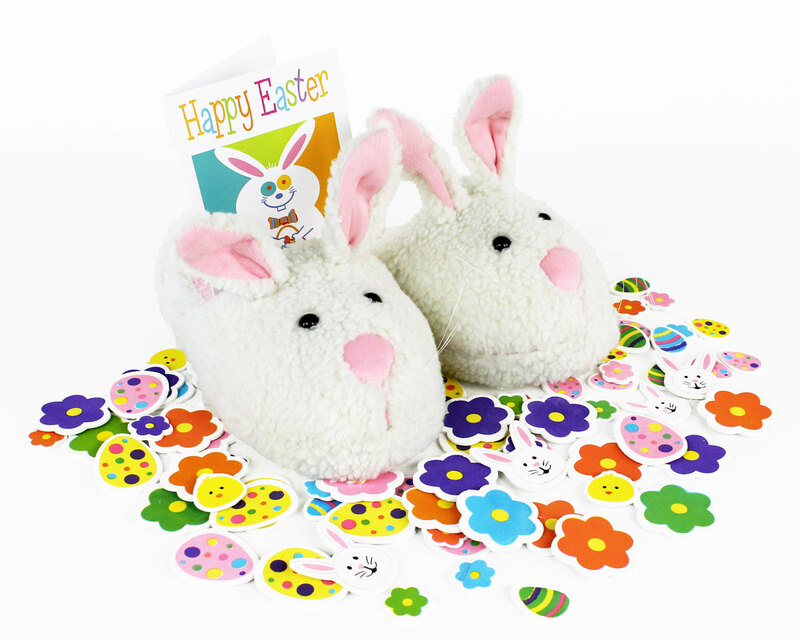 Our Easter BunnyGram comes with one pair of our Classic Bunny Slippers for kids or adults (you choose the size), grassy green tissue paper, festive foam easter stickers (bunnies, chicks, eggs, and flowers), and a personalized card. To ensure delivery before April 21, 2019, please place order before 1pm PDT on Tuesday, April 16 (for orders within the US). This entry was posted in Uncategorized on April 1, 2019 by BunnySlippers. ← Easter Sale on Now — Save 20%! !